It could be a joy when visiting a new place or country, with countless new attractions to see and in Penang's case, plenty of food to eat as well. With the influx of tourism into Penang growing boundlessly over the good part in the last decade, three parties have joined arms in launching the Travel Privilege Card Penang - namely the Ministry of Tourism & Culture, Tourism Malaysia Penang and the Penang Tourist Centre. In a nutshell, this card provides the holder with excellent incentives when visiting mainly tourist attractions and heritage places, plus a couple of restaurants and public transportation. 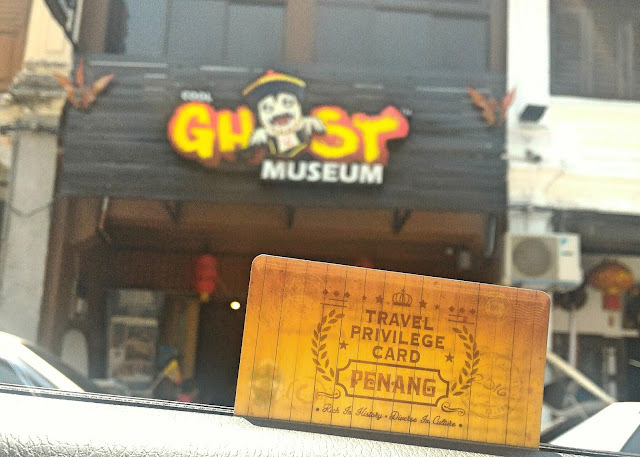 I've recently used the Travel Privilege Card when bringing some friends from abroad around Penang, and one of the destinations was the Ghost Museum Penang. Our group enjoyed a 20% discount off the entrance fee, and this rate applies to other museums around Penang as well. Do refer to the appendix list below for the full coverage of the card.